Ever wonder why your printer shows toner life low or keeps ask for replacement when you just installed a brand new unit? Usually the printer still prints even when such issue occurs. However, the warning message becomes an eyesore. Fortunately, there is a way to get rid of warning and manually tell the printer to recognize the toner as new. 2. Press the clear/back button. 5. LED screen should now recognize the command and show accepted. 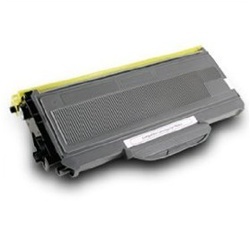 The benefit of the exercise above can also help you extend the life of your toner cartridge. Often, there are still quite a bit of toner left in the tank and your printer won’t let you print. The exercise can be repeated until the print quality start to fade, which means that you’ve milked the toner to the last drop. The less toner cartridge you have to buy means more money in your pocket! Here at Toner Spot, we strive to provide the highest quality re-manufactured cartridges at an affordable price to help you save even more on printing expenses. Remember to enter the coupon code COLOR13 to save 10% off entire purchase at www.toner-spot.com. What’s even better? There’s NO SHIPPING fee over $75! 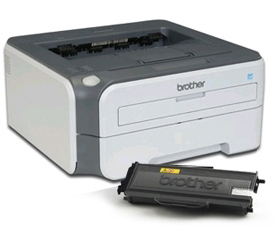 Our Compatible Brother TN360 Toner Cartridge is guaranteed to perform with Brother Laser Printers. The compatible replacements for Brother TN360 Toner Cartridge (also known as generic) are engineered to meet the highest standards of quality, reliability and exceptional yields that meet or exceed OEM (Original Equipment Manufacturer) standards and offer high-quality printing results. Remanufactured in international certified factories and tested under the STMC compliant standards, they are an economical and environmentally friendly alternative to expensive OEM Brother Toner Cartridge. The use of compatible replacement toner cartridges and supplies does not void printer warranty. We offer a 100% Quality Satisfaction Guarantee on our Compatible Brother Toner Cartridge and supplies. Duty Cycle: 2,600 pages at 5% coverage per page.